It’s not often that an iPhone user gets jealous of an Android application, but that’s definitely the case here with Any.DO, the gorgeous new social To Do list app for Android launching today. 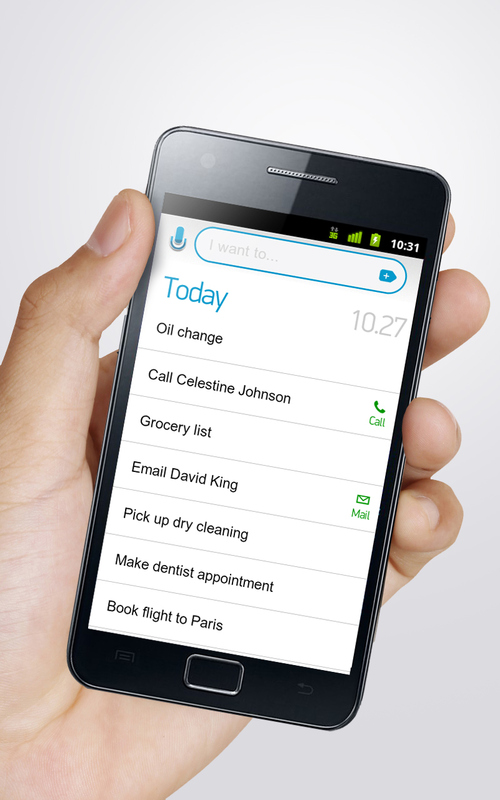 The app comes from the team behind Taskos, one of the most popular To Do list applications on the Android Market. More notably, Any.DO is backed by $1 million in angel funding from Eric Schmidt’s Innovation Endeavors, Blumberg Capital, Genesis Partners, Palantir (Joe Lonsdale), Felicis Ventures (Aydin Senkut) and Brian Koo and includes Erick Tseng, head of mobile products at Facebook, and Elad Gil, Director of Corporate Strategy at Twitter, as advisors. Any.DO was founded in 2010 by Omer Perchik, Yoni Lindenfeld and Itay Kahana and now has offices in both Palo Alto, California and Tel Aviv, Israel. The interesting thing about this team’s first app, Taskos, was that it was meant to serve as market research only. The founders were surprised how popular it became – something that may serve as a reminder about the need for quality apps on the Android platform. Taskos now has 1.3 million users and handles 150,000+ tasks per day. Those users will now be invited to try Any.DO instead, Perchik says. When you launch Any.DO, the first thing you’ll notice is its attractive design. After having been on Android myself for over a year, I can say with confidence that this is still somewhat a rarity for the platform. (Go ahead, flame away). But Any.DO looks great, offering a default white theme and a more “Android-y” black theme. However, the most important feature is the app’s backend. 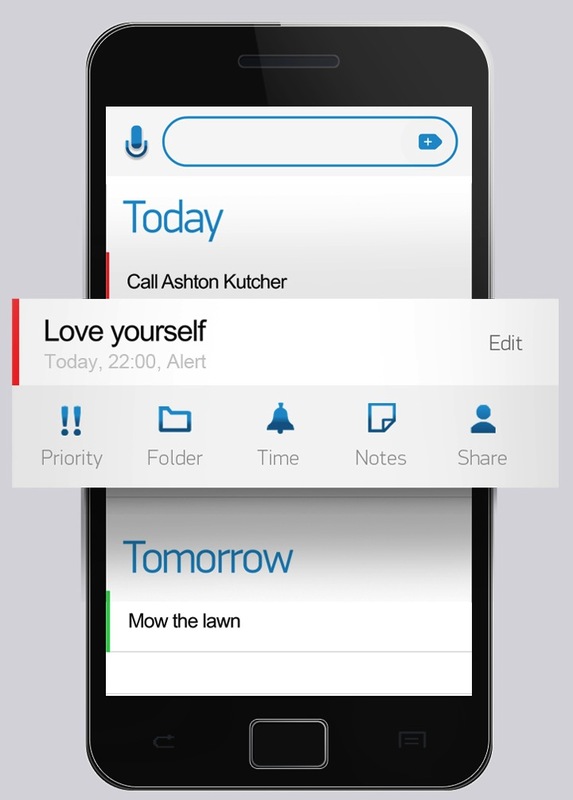 This task list app is actually intelligent, offering to auto-complete entries as you type. The suggestions of common words and phrases are gathered through the analysis of aggregate, anonymized data from the app’s users. For example, start typing “ca…” and the app may suggest “call mom,” “call dad,” “car wash,” etc. It’s like Google’s auto-complete for tasks. Any.DO also lets you collaborate on tasks with family, friends and colleagues, potentially displacing group texting, email threads and other more socially focused apps like Facebook or GroupMe. It can offer contact suggestions when building collaborative tasks, and for those who are not Any.DO members, the app supports communication via email and SMS. A future version will send non-users’ replies back into the app, too, similar to how GroupMe works today. As far as the bigger pictures goes, Any.DO is working towards building out a smarter, more intelligent system that can help you actually get things done, not just list the things you need to do. Details on how exactly that will work are sparse, but a comparison to Siri’s capabilities was hinted at in our conversation with co-founder Perchik. And no, fellow iPhone users, Any.DO isn’t going to be an Android-only app for long. The iPhone version is just a few months out. In the meantime, Android users, congrats, you can grab the new app from here.